Let’s enjoy the temporary kaleidoscope at the Louis Vuitton Foundation. 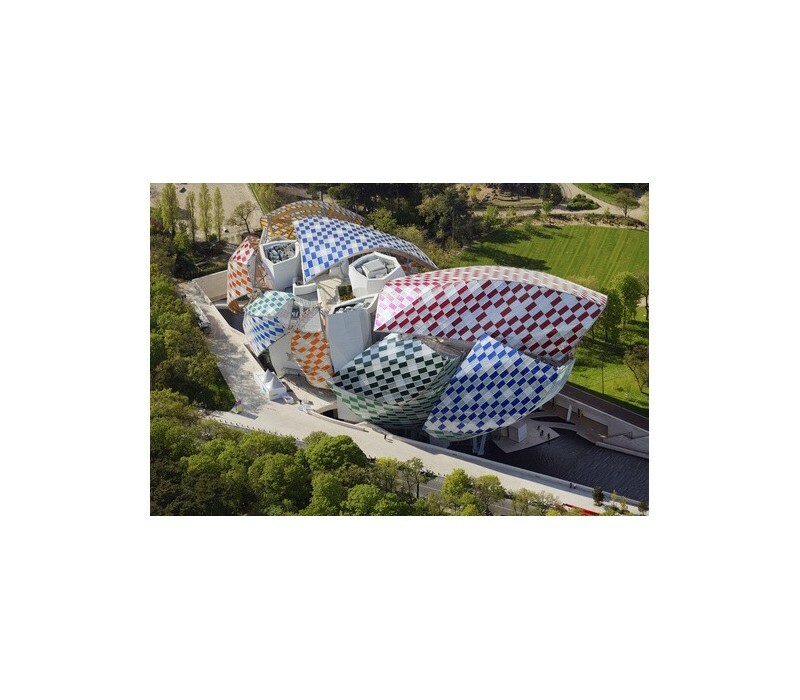 Daniel Buren glorified with colors the already sumptuous structure designed by Architect Frank Gehry. Also accommodating the exhibition of the year: the collection of Sergueï Chtchoukine, the biggest Russian philanthropist, mainly 29 Picasso, 22 Matisse, 12 Gauguin, 8 Cézanne. Not to forget 9 closed control units, DATATECH by BlueBox.